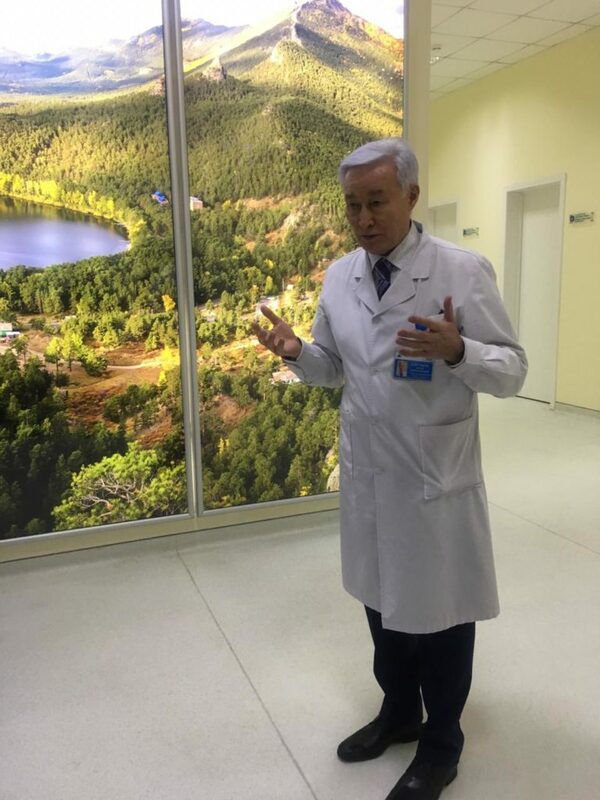 ASTANA – The city’s Tomotherapy and Nuclear Medicine Centre began receiving and consulting patients this month. The centre uses the most innovative radiation therapy to treat different types of cancer. “We bought two tomotherapy machines to install in our centre. Both of them are the latest models available on the market. This technology is absolutely new for Kazakhstan. We brought it from the USA, where tomotherapy has been widely used in cancer treatment since 2012. 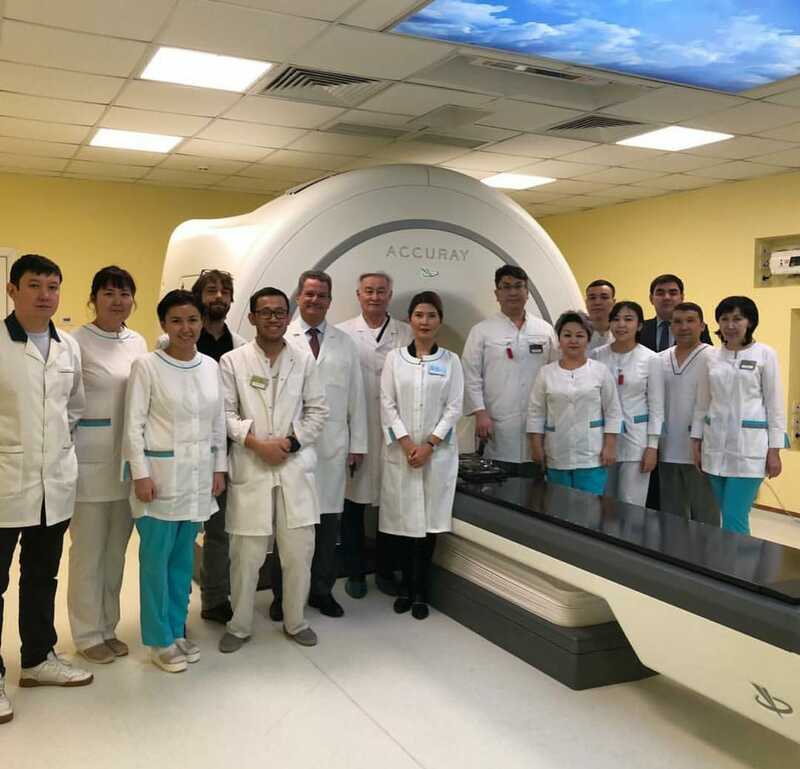 Daniel Fass, the director of New York Tomotherapy centre, is now in Astana. He trains and consults the local staff. We have about 30 people working at the centre. Most of them got training at large tomotherapy centres in the USA, France and India,” said centre General Director Zhanar Nurzhanova in an exclusive interview with The Astana Times. “Tomotherapy is a highly effective treatment method which uses photon beams. A photon is started by an engine and its speed reaches the speed of light. The photon beam localises and burns a tumour more precisely. This is the main difference and advantage of tomotherapy over other types of radiation therapy,” she added. The centre has a separate building erected and equipped according to X-ray radiation protection requirements. Construction started in April 2017 and was completed in August 2018. The tomotherapy centre is a private investment project. Damu Entrepreneurship Development Fund subsidised the interest rate on the bank loan for the project and Baiterek National Managing Holding funded the work to beatify the grounds. “All Kazakhstan`s citizens can get treatment in our centre. Patients must bring the results of previous medical examinations to the centre. Our doctors will conduct an additional examination, if necessary, before making a diagnosis and assigning a therapy. We plan to introduce two ways of financing treatment at our centre – by the patient or the state. A patient will have to apply for public funding to get free treatment in our centre. We submitted all the documents to the Ministry of Healthcare for consideration. The centre provides outpatient treatment. One treatment session lasts up to 15 minutes. It is absolutely painless. After the session, a patient can go home,” said Nurzhanova. Centre professionals receive special training, and managers are planning to develop the city’s medical tourism. The tomotherapy machines are the only ones available in the Central Asian region, as the nearest centres are in Moscow and Kazan (Russia). The managers believe these factors make the capital a major medical destination for cancer patients from neighbouring countries. “We will start a big PR campaign soon. Our website is almost ready and will be launched [soon]. People will get necessary information from our website. We will also promote our official pages on social media. Our first patient will start getting treatment this month. We will invite the mass media; we want to have nationwide coverage of this event on TV and in newspapers,” said Nurzhanova. Individuals wishing additional information about the Tomotherapy and Nuclear Medicine Centre may call +7 7172 95 44 84.